Energy-starved India is likely to get liquefied natural gas (LNG) from the Novatek-operated Yamal LNG project. A Gazprom group company signed a framework agreement with privately-held Novatek to buy 3 million tonnes of LNG per annum from Yamal, where a gas liquefying plant is under construction. A full-fledged agreement between Gazprom Marketing & Trading and Novatek will be signed in the near future and is expected to be valid for 20 years. Most of the gas is destined for India. “We think that the Indian market is one of the fastest developing markets in this (Asia-Pacific) region,” Gazprom Chairman Alexey Miller said. No indication was given of when deliveries would begin, but analysts are looking at 2017. More than 90 percent of the gas to be produced at the plant has already been sold. Total will buy 4 million tonnes, Petrochina (a CNPC group company) is to purchase 3 million tonnes and Spanish company Gas Natural Fenosa is to purchase 2.9 million tonnes. Novatek’s Singapore trading company Novatek Gas & Power will also buy 2.9 million tonnes. The plant will have a total capacity of 16.5 million tonnes per annum. 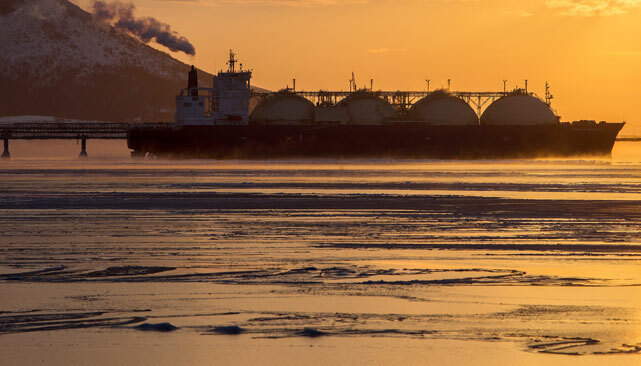 The Yamal LNG project involves the construction of gas liquefying plant using gas extracted from the Yuzhno-Tambeysk natural gas field, which has estimated reserves of 907 billion cubic metres. The shareholders are Novatek (60 percent), France’s Total (20 percent), and the Chinese company CNPC (20 percent). The cost of the project is estimated at $27 billion, and Chinese banks are prepared to extend $20 billion in financing. Gazprom can use the gas from Yamal to supply the 2.5 million tonnes that is contracted to GAIL. By supplying Yamal LNG to GAIL, Gazprom could free up the 1 million tonnes from Sakhalin-2, meant for India, and sell it in the Far East. Novatek co-owner Gennadiy Timchenko said the company is still prepared to sell up to 9 percent of the project’s stake and that talks are continuing. Until now, the privately-held company has been trying to tempt gas customers to become shareholders, as was the case with Total and CNPC. Japanese companies Mitsui and Mitsubishi and an Indian consortium comprising of ONGC, Indian Oil Corp, and Petronet LNG were keen on the stake. The Japanese however pulled out of talks. A source close to Novatek said that the company may think of selling the stake to a finance partner instead of an oil and gas company, since most of the LNG has already been contracted. Kirill Dmitriev, Director of RFPI (The Russian Fund for Direct Investment) told Vedomosti last week that the fund was interested in purchasing this share: “RFPI is interested In investing in Yamal-LNG, as is the Russia-China Investment Fund (founded by RFPI and the China Investment Corporation),” Dmitriev said.